Gregor Jack has it all: young, wealthy, and charming, he's a highly respected member of Parliament, witha beautiful wife--and a closet bursting with skeletons. When he's caught in a police raid on an Edinburgh brothel, his house of cards begins to topple. Enter Detective John Rebus: he smells a set-up. When Jack's flamboyant wife Elizabeth disappears, Rebus uncovers a full-house of orgies, drunken parties, an incestuous "Pack" of deceitful chums...and ultimately Elizabeth's badly beaten body. 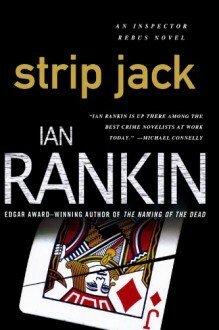 Now Rebus is on a new quest--to find a killer who holds all the cards.